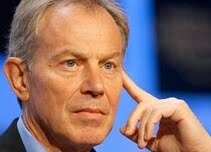 Recently TJN's senior adviser Richard Murphy was judged to have solved a mystery related to the finances if former British Prime Minister Tony Blair. Now, Britain's Telegraph newspaper has an interesting article about the former British Prime Minister, entitled Tony Blair under pressure to explain if he is avoiding UK taxes. "The source of Mr Blair’s wealth is expected to become an election issue today when he gives a speech in support of Gordon Brown. Last night, the Conservatives published a dossier that showed that some of Mr Blair’s companies, called Firerush Ventures, have received "permission" to operate in tax havens including Gibraltar and Lithuania. There was no suggestion that Mr Blair had broken any laws but both countries have lower corporate tax rates than in Britain. Interesting. We'll bring more, as and when it emerges.